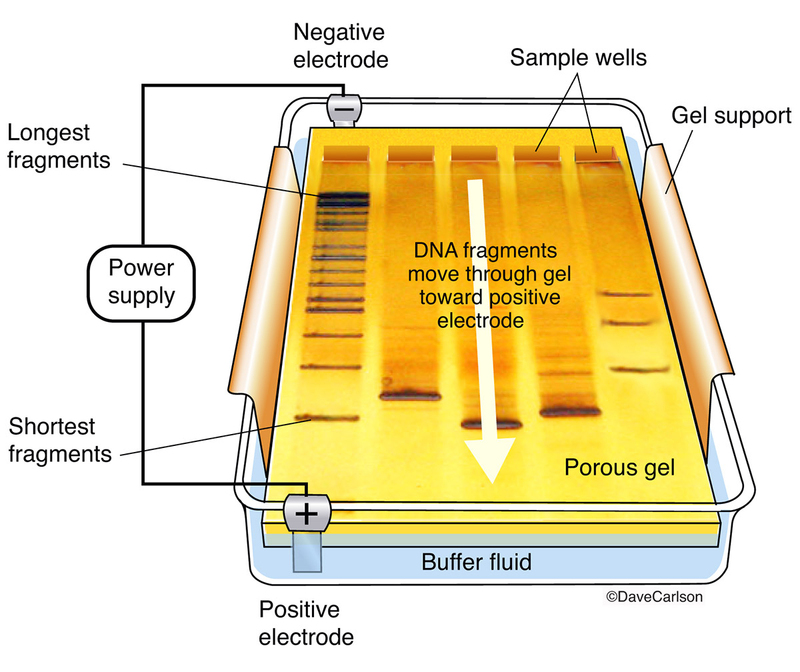 Diagram of laboratory method used to separate fragments of DNA, RNA or proteins according to size. The molecules are pushed by an electrical charge through a sieve-like porous gel. Image © copyright by Dave Carlson.